Cool toddlers in shades are not just fashion statements. They are eye-essential. 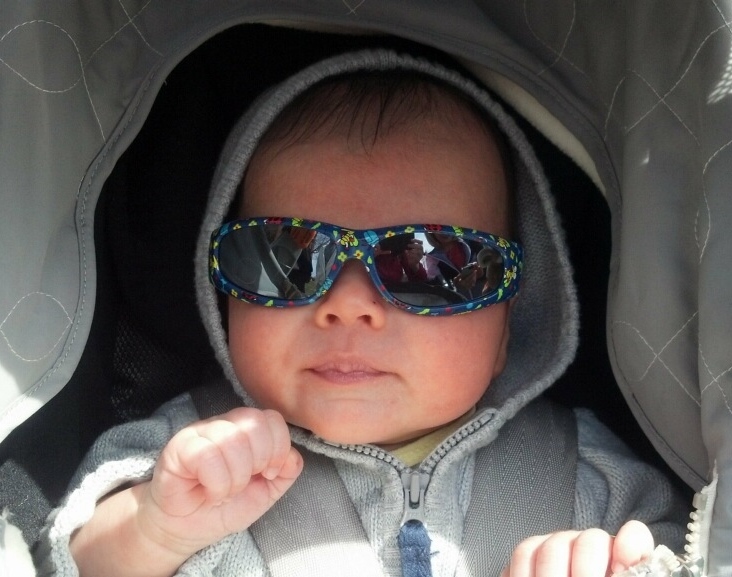 Vision care experts urge awareness of the dangers of overexposure to the sun’s ultraviolet rays on little eyes. They say that prevention is imperative because damage is accumulative and irreversible. According to an article in the Wall Street Journal. (July 8, 2014), children’s eyes cannot filter UV light as effectively as adults, which make them especially vulnerable to the sun’s damaging rays. Lighter colored eyes are even more susceptible. It’s particularly important to protect young eyes near the water, sand, and snow. These substances reflect the UV light making their effect more intense. A severe sunburn to the eyes can result in temporary vision loss, increased risk for cataracts later in life, macular degeneration, or even cancer. The recommendation is for children to wear sunglasses that block close to 100% of the entire UV spectrum all year-round.